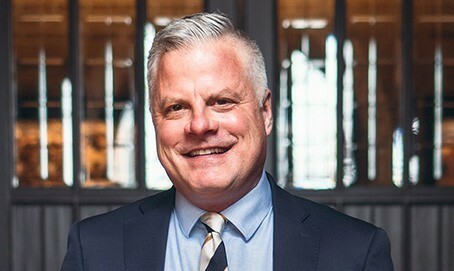 BROOKLYN and PATCHOGUE, N.Y. – April 10, 2019 – St. Joseph’s College (SJC) is pleased to announce that Robert Riley, Ph.D., has been selected as the next Provost and Vice President for Academic Affairs at St. Joseph’s College effective July 1. Dr. Riley will serve as SJC’s chief academic officer responsible for strengthening an academic and value-oriented educational program. He will divide his time between SJC Long Island and SJC Brooklyn, and will serve as a member of the President’s Cabinet. Previously the Vice Provost for Academic Affairs at the University of St. Thomas in St. Paul, Minnesota, Dr. Riley has extensive experience in higher education administration. In his former role, he oversaw the areas of faculty advancement, undergraduate education, library services, accreditation and assessment, sponsored research, sustainability, social innovation and service learning. Prior to his appointment as Vice Provost, he served as chairperson for the Department of Economics, chair of the Faculty Affairs Committee, director of the Center for Faculty Development and director of the International Studies Program, all at the University of St. Thomas. Dr. Riley’s research on economics has been widely published and he holds a Ph.D. and M.S. in Economics from the University of Wisconsin-Madison; he received a B.A. in Economics and Spanish from the University of St. Thomas. For more information, visit sjcny.edu.